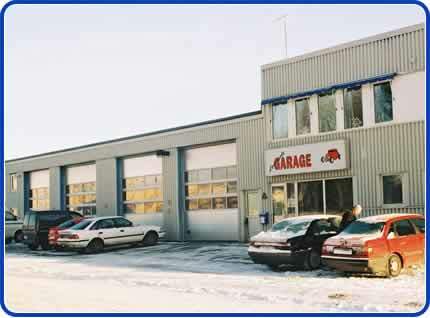 In the summer of 2003, Willy Winterfalk of Lennart's Garage in Alingsås, Sweden visited Clean Image for a busman's holiday. It soon became clear that there are major differences in the way different jobs are handled in the two countries and we were able to swap notes and exchange ideas, as well as try different products and techniques. Willy's visit was so successful that it was agreed that similar exchanges should continue between our two companies and this winter I accepted the offer to go to Sweden to work and learn. It was neither my first visit to Sweden, nor my first visit during the winter and as usual, the weather did not let me down. We had various kinds of snow and ice. The temperature in town stayed between -2°c and -14°c during the daytime. 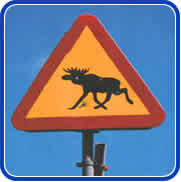 This is fairly typical for the west coast of Sweden at this time of year and understandably it causes problems for cars that we in the South East of England rarely have to cope with. We often tell our customers that it is the winter months that really destroy a car, and that we recommend preparing your car for winter but few people go to any great length. But when temperatures can fall to -30°c it's a totally different ball game and the Swedes are well used to coping with the extreme conditions. (They even manage to make the trains run on time). The fist major difference is that during the winter months, all cars have to have studded tires. Although the studs are made of a non-ferrous magnesium alloy, this still causes fallout and is still harmful to cars paintwork. In addition to this they grit and salt the roads. It's my understanding that they do put a lot of salt down at certain times of the year. They import the salt from countries like Russia and buy it by weight, unfortunately, certain unscrupulous salt dealers 'cut' the salt with metal filings to make it heavier. So apart from the Swedes being ripped off, they also have the additional problem of these metals and other pollutants destroying their cars bodywork. Below temperatures of about -6°c it becomes pointless salting the roads, as even salt water freezes, so they put down grit. This grit is much larger and heavier than anything I have seen in England and I dread to think what it does to paintwork. The second major difference I noticed became apparent once I actually started work at Lennart's, and that is that Swedes much prefer to use car washes than go out and clean their own cars on a Sunday afternoon (and with subzero temperatures, who can blame them). And maybe because of the salts, grit and other pollutants on their roads, they use car washes much more often. Obviously, I have seen the damage done buy automated car washes before, but never like this. I have to say I was totally shocked, not least when I found out that much of the damage was cause by these new so called 'soft' car washes. Because these cars had been washed on a weekly basis, even the toughened paintwork of paint sealed cars was damaged to the extent that although it could be polished and buffed to a reasonable state, the deep pitting caused by the ends of the brushes whipping across the paintwork meant that some of the damage was permanent. But Willy and Roger are experts in paintwork restoration and if they can't restore a cars paintwork to its former glory, then nobody can. Strictly speaking, Lennart's Garage is not a valeting company, they specialize in restoring and repairing cars, rebuilding chassis and panel work, especially on classic vehicles. Considering the level of damage to many of the cars I saw in Sweden, they are the ideal people to deal with these problems. Inevitably, all the afore mentioned fallout, grit and salts means that they see far more rust than we do in England and Lennart has developed an effective system of smart repair for dealing with it, which we will hopefully add to our list of services. and in my personal opinion, yields better results. All in all, my visit to Sweden was a highly productive experience and we are already planning a return visit in which I will be able to follow up some enquiries I made on this visit. It's too early to tell all just yet, but wheels of been set in motion which in the coming year will hopefully lead to many changes in our work practices, new products and services. Many thanks to all at Lennart's Garage. I had a great time. "How to Sell my car?" - Sell cars quickly and for more money. Find out what all the fuss is about. What causes fallout and what to do about it.